What will you be doing over a mobile network in 28 years? Whatever it is, AT&T and cell-tower company Crown Castle want a piece of it. In a deal announced on Sunday, Crown Castle International will lease about 9,100 of AT&T’s towers for an average term of 28 years. The agreement, under which Crown Castle will also buy about 600 AT&T towers outright, will bring AT&T about $4.85 billion in cash up front. It’s expected to close by the end of this year. After Crown Castle takes over the towers, it will lease them back to AT&T, so the carrier says it doesn’t expect the transaction to affect subscribers’ service. But the arrangement does provide a hint of how much faith mobile companies have in the future of this still-young business. At 28 years, stretching out until 2041, the average lease term for these towers is far beyond the horizon of most predictions about mobile bandwidth, apps or devices. But the trends underlying mobile data point to new capabilities coming online for years, and full-size cell towers are likely to be critical infrastructure for decades, according to Tolaga Research analyst Phil Marshall. “It’s a pretty good bet,” he said. Vendors are already looking at demand for the next generation of mobile networks, a so-called 5G that’s not yet being hashed out as a standard. Vish Nandlall, Ericsson’s CTO and senior vice president of strategy, said last week that 5G gear is likely to appear in commercial networks beginning in 2020. He sees it offering 10 times the capacity of 4G LTE, as well as features for low-power machine-to-machine communications. If a new generation of mobile comes every 10 years, as Nandlall believes, then 28 more years may bring us to 7G. Even the most advanced technologies in labs today won’t go that far, instead giving hints about the networks of just 15 years from now, Tolaga’s Marshall said. 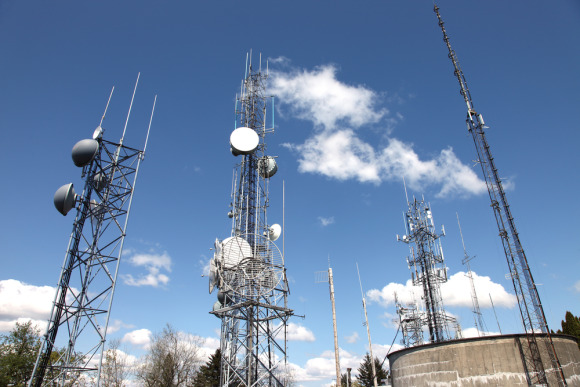 Small cells will transform networks over the next few years, allowing carriers to serve more subscribers in areas of dense mobile use, but the kind of longer-range towers Crown Castle is buying into will still be needed for broad coverage, he said. “There’s no evidence that there’s anything that will ... replicate the need for these macro cells,” Marshall said. Though it’s hard to make detailed predictions, networks 28 years from now will probably feed increasingly powerful mobile devices with updated information and help users find what they need, he said. “The mobile device ends up having every piece of information you could ever possibly be interested in,” Marshall said. The current MicroSD standard allows for cards with capacities as high as 2TB, one indication that there’s a long way to go for on-device storage, he said. Smarter, faster networks will help consumers use all that data, using context cues such as time and location to show users the content they need in real time, Marshall said. Future networks will also connect many more types of devices, some of which will fade into the background from consumers’ perspective, Marshall said. Twenty-eight years from now, the launch of the original iPhone in 2007 may look like the invention of the microprocessor in 1971 does now. AT&T and Crown Castle seem confident all this will pay off. When their rights under the deal expire in an average of 28 years, Crown Castle will have the right to buy those 9,100 towers for a sum that the companies estimate at $4.2 billion. Even in the first phase of the deal, AT&T will get cash it can invest in other parts of its business. But the deal could also benefit the customers of its rivals. Crown Castle will be free to lease extra capacity to other carriers, which may open up towers in areas where Verizon Wireless, Sprint or T-Mobile haven’t been able to set up their own towers, Marshall said. This article was updated on October 22 to correct the name of Tolaga Research.